MORE: Wednesday is the kick-off event for Blue Rain Gallery's week-long Celebration of Contemporary Native American Art, leading up to Indian Market weekend. This is traditionally our "emerging" talent night and this year we feature: Chris Pappan, Thomas Breeze Marcus, and Nani Chacon. Artist reception from 5-8pm. MORE: Check out the latest fashion, art and accessories by rockstar Virgil Ortiz! Definitely worth checking out! MORE: IFAM partners with Brian Frejo/Culture Shock Camp and RezonateArt to produce the BEST PARTY EVER. Music, dancing, art, friends, positive vibes, good times. Bring the whole family for a night to remember. Because we all have much to celebrate. IFAM 2015! $5 minimum donation to support IFAM. MORE: Jessica Metcalfe, owner of BBB, will bring street wear apparel to the audience’s attention on Thursday evening. The street wear line-up will include Jared Yazzie of OXDX, Jeremy Arviso, Alano Edzerza, Autumn Dawn Gomez of Soft Museum, Sun Rose Iron Shell, and Nathalie Waldman. MORE: Check out the latest couture and accessories by fashion designer Patricia Michaels! Other events: You might catch us at the Museum of Contemporary Arts exhibit openings, Blue Rain Gallery's other opening, and the Indigenous Fine Arts Market (IFAM) at the Santa Fe Railyard! MORE: IFAM and metalsmiths and jewelry designers of NJS come together for the Friday show. 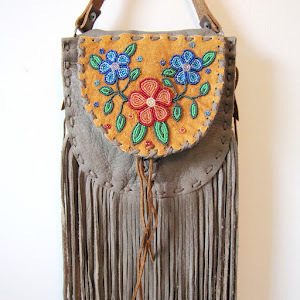 NJS Jewelers’ high quality work will be accented with select Beyond Buckskin Boutique designer pieces, which will present a stylistic mix of quality, innovative, and affordable Native made items. 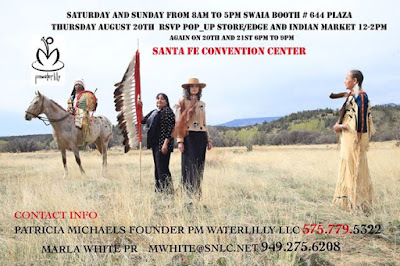 MORE: Jolonzo Goldtooth (JG Indie Designs) internationally recognized emerging Native American Fashion Designer will feature previous collections and a preview of New York Fall Fashion Week Collection with AL Couture Accessories and Hair and Makeup Artists Goldie Tom & Tecia Jackson. Amazing Dance performances by Dancing Earth. 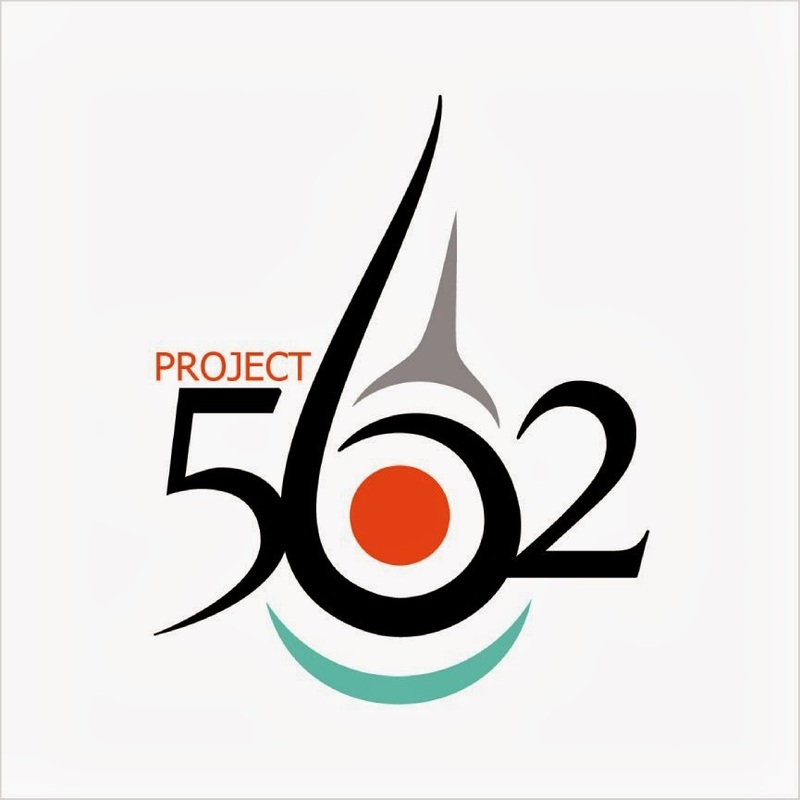 Free event to the public at the new Encaustic Art Institute. 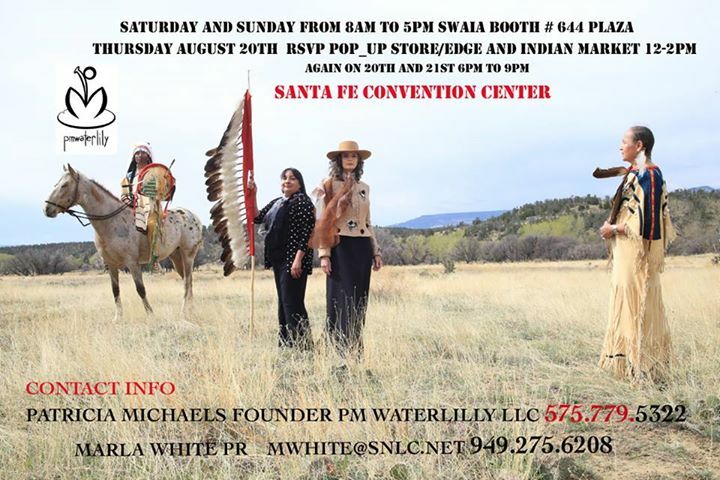 MORE: Awards presentation and celebratory luncheon for the "Best of Classification" winners at the Santa Fe Indian Market, this exclusive, members only event is the first opportunity to see the award winning art. ALL Ticketed, call 505-983-5220. Other events: We might also swing by the Indigenous Fine Arts Market (IFAM) to scope out the booths! WHAT: Indian Market Haute Couture Fashion Show! You're Invited! 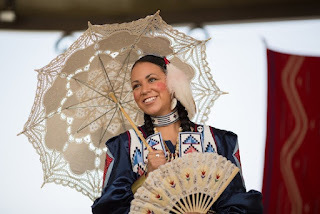 MORE: Cathedral Park (open to the public), curated by Amber-Dawn Bear Robe, and featuring some of Indian Country's hottest Native Fashion Designers. MORE: Indian Market Saturday at Buffalo Thunder Resort & Casino - Doors Open at 9pm - 21+ over event. Spinning live with DJ Element and DJ Smog. Featuring: Beyond Buckskin, Presence 4.0, and Thoshography. 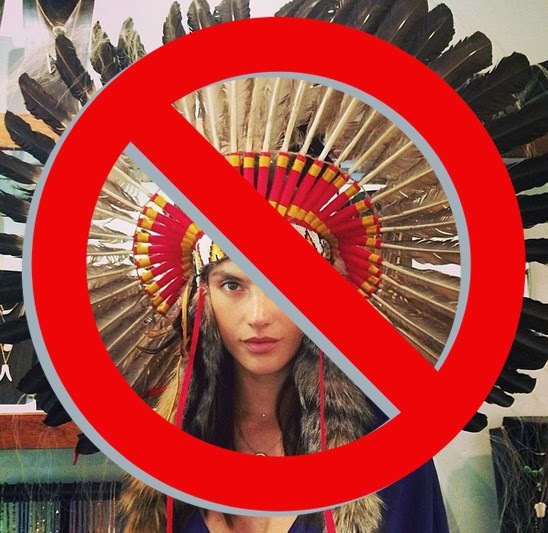 WHAT: Santa Fe Indian Market AFTER-PARTY! The Indian populace began recognizing themselves with originators like Calvin Klein. More architect store alternatives gave Indians a wide assortment of decision.